Peter Homberg is a partner in the Dentons Frankfurt office. He specializes in IP, corporate law and M&A transactions in the life sciences and high-tech sector as well as in R&D and cooperation agreements, cross-border IP licensing and IP strategies. Peter advises inter alia companies in the pharmaceutical, diagnostics, biotechnology and medical device industry – from startups to large publicly listed companies. Furthermore, he has broad transactional experience in China and Southeast Asia. Peter is member of the Licensing Executive Society (LES), the German Association for Intellectual Property and Copyright (GRUR), the German Institution for Arbitration (DIS) as well as the Pharma-Lizenz-Club Deutschland e.V. He regularly holds lectures at seminars and conferences, and is also author of numerous professional articles and other publications regarding corporate or IP law in the field of life sciences. Scil Technology GmbH: Advising regarding the out-licensing of certain intellectual property for the regenerative treatment of inter alia Osteoarthritis to Sanofi. Scil Technology GmbH: Advising regarding the sale of its service and production division to Nanohale AG. German biotechnology company: Advising regarding the sale of a certain IP-portfolio for the treatment of cardiac insufficiency. German mid-size pharmaceutical company: Advising regarding the licensing and distribution of a certain API for the treatment of interstitial cystitis to a multinational US-based pharmaceutical company. US-based pharmaceutical enterprise: Advising regarding the due diligence in connection with a certain technology portfolio for the manufacturing of vaccines prior to the in-licensing of the technology. Swiss-based biotechnology company: Advising regarding cooperation with a French multinational pharmaceutical enterprise. Priaxon AG: Advising regarding the out-licensing of a certain technology to Boehringer Ingelheim. German-Singaporean biotech company: Advising regarding the in-licensing of a certain diagnostic technology from the National University of Singapore. French venture capital fund: Advising regarding the acquisition of shares in a German-based biotechnology company. German medium-size pharmaceutical company: Advising regarding the restructuring of its distribution channels in Portugal and in other European countries. Various clients in the life sciences sector: Advising in all types of transactions, including technology transfer agreements, R&D agreements, M&A transactions, private equity transactions, arbitration proceedings and litigations. Peter Homberg is highlighted by Chambers Europe, 2014 as “a brilliant negotiator”, who “has huge experience with biotech companies and is really goal driven. He understands our needs very well.” JUVE Handbook German Commercial Law Firms, 2015/2016 mentions Peter Homberg as a highly recommended practitioner. The international directory Best Lawyers ranked him among the best lawyers for Health Care Law and Pharmaceuticals Law in Germany. 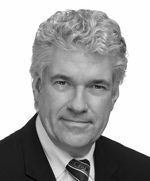 Global Law Experts honor Peter Homberg as “Life Sciences Lawyer of the Year in Germany”.